The Department of Human and Natural Services exhibits alternative arrangements of the bureaucracy surrounding climate change and possibilities to reclaim agency for environmental justice and resilience. Drawing on the rich history of phone art, Allison will be connected to the gallery by telephone as a component of her new performance piece Emotional Labor Specialist: Climate Change Hotline. Visitors will be invited to call the performer on the phone and discuss their feelings about climate change or engage in drawing activities designed to support the processing of emotions associated with the unknowable future of our changing planet. Other featured artists include Nancy Nowacek, Li Sumpter, and the Environmental Performance Agency (EPA): Catherine Grau, andrea haenggi, Ellie Irons, and Christopher Kennedy. On January 5, 2019 Allison woke up super early and went down to The Toronto CBC filming where she spoke with Metro Morning's Matt Galloway about her Winter Island Artist Residency at Artscape Gibraltar Point. This January and February Allison will undertake a month-long residency that invites members of the public to help construct a giant snow fort at AGP. 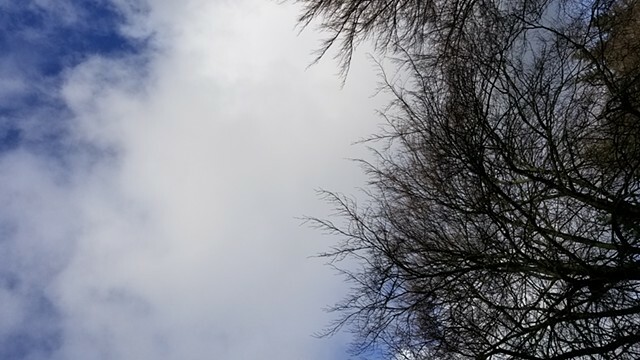 From January 7- February 4, 2019, Allison will be in residence at Artscape Gibraltar Point, located on the Toronto Islands. During her residency, Allison will invite local residents, children, and the public to help her build a massive snow fort inspired by the epic 1985 Canadian film La guerres des tuques (known in English as The Dog Who Stopped the War). On January 26, 2019 Allison and AGP will host a Winter. Stay tuned for more details of this exciting project! Allison is pleased to be included in the exhibition System Processing at Grand Valley State University in Jenison, MI. On November 29 & 30 from 6:00-9:00 each evening the exhibit, System Processing will take over the GVSU Sustainable Agriculture Project. Other exhibiting artists include; Ruth Burke, Jeffrey Michael Austin, Larissa Garcia, Gustavo Plascencia, and many others. In October 2018 two photographs from Allison's 2015 project Mine will be included in the exhibition Spoon, Scoop, Sieve at Bivy Gallery. 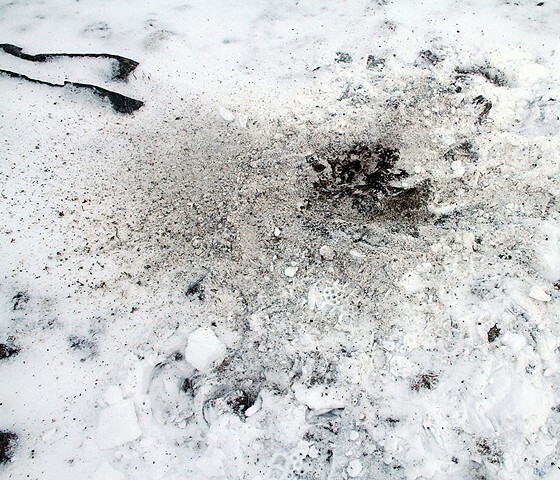 This show explores the relationship between human touch and the natural environment. This Fall Allison will be presenting at the annual Art Education Research Institute and Universities Art Association of Canada conferences. Allison is delighted to share two of her current research projects at the upcoming AERI Conference running September 13-15, 2018 and at the UAAC Conference on October 26, 2018. At AERI she will deliver Method Follows Form: Studying Socially Engaged Art Using Ethnographic Case Study. At UAAC, Allison will co-present with Alyssa Bralower on the panel Radical Museums: Challenging Museums in the Current Moment chaired by Dr. Kristy Robertson. Allison and Alyssa will present on Land Grant an exhibition they co-curated at the Krannert Art Museum in 2016-2017. Allison is thrilled to be partnering with the Boys and Girls Club to offer a series of thematic, evening art activities for children aged 6-12 on Tuesday evenings. All current Dovercourt club members are welcome to join this program for free. Stay tuned for news about our immersive installation of the future! Allison is pleased to announce she will be delivering two back-to-back presentations at the National Art Education Association Convention in Seattle on March 23, 2018. Are you a post-secondary studio educator? This panel provides hands-on suggestions about how to support students who want to create antagonistic, participatory art. This annual session features the latest scholarly and creative research by doctoral students in the field of art education who are currently pursuing doctoral degrees at academic institutions in the United States and Canada. Allison will deliver a short talk on her dissertation research methodology as an 'art move'. Allison is currently in the fieldwork phase of her dissertation research into the execution of social practice art at cultural institutions in Canada and the United States. For the next two months, she will be following the full lifecycle of a participatory art project in the Pacific Northwest. 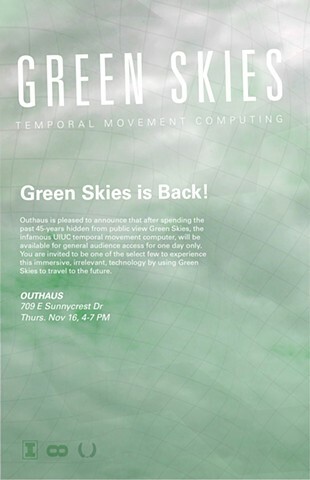 Green Skies was originally developed by UIUC graduate students in the short-lived Temporal Computing Programming Program (TCPP). Despite early success, the project was shut-down after researchers were unable to get the technology to function outside Champaign County or to move anyone to any time other than the year 2100. Described by peer reviewers as “…utterly useless…’’, “…lacking in imagination or real-world applicability…” and “…a degradation to science, time and human decency…” the unit has been hidden in basement storage until this fall when current, underfunded graduate students unearthed it while searching for loose change. Admission will be determined on a first come, first serve basis. It is not recommended that people who are uncomfortable with time travel attend this event. This summer Allison is beginning her doctoral field work researching cultural institutions in Canada and the United States and their collaborations with artists to produce participatory art. After an amazing two-week road trip she has landed at her first research site located in Northern Canada. Allison will spend July and August at this site before returning to Toronto to conduct preliminary data analysis and to begin preparing to go to her second research site in late autumn. 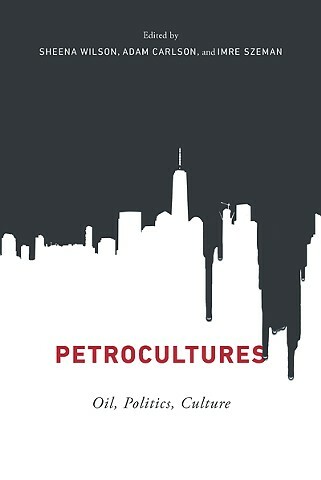 New book chapter out in "Petrocultures: Oil, Politics, Culture"
Petrocultures: Oil, Politics, Culture recently released by the McGill-Queen's University Press includes the chapter 'The Tar Sands Exploration Station: A Self-Directed Artist Residency' by Allison Rowe. This text takes the reader on a narrative exploration of the Alberta oil sands and into Rowe's practice-based research work on oil. Allison and her UIUC colleague Dulcee Boehm will be presenting I Move Heart and Large Objects at Open Engagement: Justice at the University of Illinois at Chicago. April 21 – 23, 2017. Come out and hear our thoughts on care, resource extraction, and farming. Also featuring country music and some mild manual labor. Allison is excited to announce that she is the recipient of the Kate Neal Kinley Memorial Fellowship, an annual award allocated to a graduate student from the University of Illinois at Urbana-Champaign. Allison will use the funds to support her research travel across Canada and the United States where she will be conducting case-study research of participatory and community involved arts at museums and art galleries. 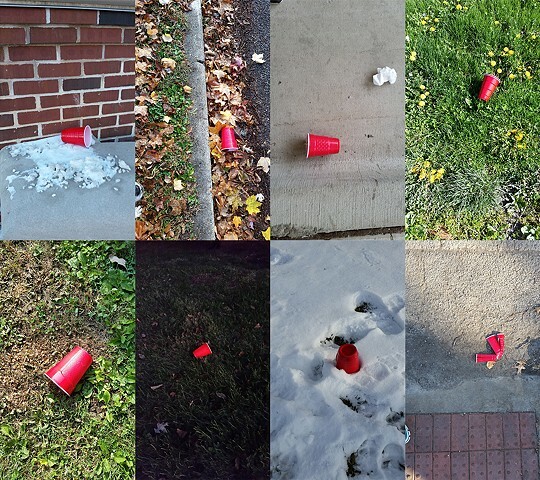 College Town (eight months) is a gridded photographic collage of discarded red Solo cups taken by the artist during her first eight months in residency in a Champaign-Urbana. The Solo Cup, a locally invented and manufactured product was created by Robert Leo Hulseman in the 1970s for his family’s Solo Cup Company which employed hundreds of Champaign county residents until it was sold in 2012. Today the red plastic cup maintains an important role in local culture and is commonly associated with underage drinking, keg parties and beer pong. Allison is pleased to announce that she is the recipient of a four-year doctoral fellowship from the Social Sciences and Research Council of Canada to conduct her dissertation research on museum-based socially engaged art. She also received a University of Illinois Dissertation Travel Award and Graduate College Conference Travel Award this semester. Rowe's presentation, 'Greeks for Greece: A Narrative Exploration of Frat Culture, the Greek Refugee Crisis and an Art Exhibition' will be included on a panel about art, politics and violence in the Mediterranean. Allison will be speaking at 'Ethics out of the box: examining ethical issues in art and design research' at OCAD University in Toronto on May 25, 2016. Her presentation will discuss ways that classroom educators can facilitate antagonist art making in their post-secondary classrooms. Allison is excited to announce that her summer research plans now include visits to Oakland to attend the Open Engagement Conference, a three-week trip to study with the Louvre School in Paris and a road-trip to tour art museums in Washington State and British Columbia. This research would not be possible without the financial support of the Art Education program at the University of Illinois at Urbana-Champaign where Rowe is currently in the first year of her PhD. Rowe's upcoming conference presentation will take the form of a road trip to the Canadian landscape (both real and mythological), through the oil sands, into national resource ideology and which will end with the Tar Sands Exploration Station. Allison is delighted to announce that beginning in August 2015 she will begin her doctoral work in the Art Education Department at the University of Illinois. After careful consideration Allison has accepted an offer of admission to the Urbana-Champaign campus of the University of Illinois where she will pursue research in museum-based socially engaged artistic practice. In autumn 2014, twenty-five artists boarded the tall ship Antigua for a two-week residency sailing the west coast of Spitsbergen, Svalbard located in the Arctic Circle. The Antigua reached 79°52 N, 011°48 E, just beyond Ny-Alesund, the world’s northernmost civilian settlement. One of the artists, Daniel Kukla has initiated a follow up residency at Pocantico inviting fellow Arctic residents Geoff Booras, Denise Iris, Sandra Kühne, Tamsin Relly Allison Rowe, and Katie Turnbull to participate. Svalbard is an international territory with a unique history of exploration, land claiming and mapping in the name of resource exploitation and survival. The land has also been pursued for scientific discovery, physical challenge, artistic motivations and more recently, tourism. In light of this history, the artist’s motivations for undertaking the expedition provide a starting point for their Pocantico residency. Coming from diverse and inter-disciplinary practices, the artists will have the opportunity to develop work - both individually and collaboratively - in response to their shared experience in the largely uninhabited Arctic landscape of glaciers, mountains and fjords. The group will investigate common themes within their practices from exploration, cartography and geology to temporality, impermanence and Climate Change. The Line 9 Consultation Department is an interactive office installation where Toronto residents can learn about and discuss Line 9B, a 39 year old Enbridge pipeline set to begin transporting tar sand oil product through the GTA later this year. Figment is a forum for the creation and display of participatory and interactive art by emerging artists across disciplines. This project has been supported by a grant from the Toronto Arts Council. The Line 9 Consultation Department is a mobile art installation and community event space that will travel the path of Enbridge's Line 9 across Toronto this summer. If you are interested in hosting the Consultation Department please get in touch. During her residency Rowe and the other participants will travel north from Longyearbyen on a tall ship, stopping to make work and explore the island. Allison is looking forward to continuing her investigations into resource extraction, and taking on some new experiments in 3D modelling and scanning. This project has been supported by a grant from the Ontario Arts Council. There are few spaces in the city of Toronto as charged and visited as Yonge and Dundas Square- particularly when you add live performances by contemporary and experimental musicians and sound artists. The Tar Sands Exploration Station will be participating in the the annual Intersection: Contact Contemporary Music Festival on September 6, 2014, with a guest performance by sound artist Adam Tindale in the afternoon.Join us through any time after 12:00 to talk, listen or explore. Mark your calendars- the Tar Sands Exploration Station will be opening its doors at the upcoming Big on Bloor Festival on July 19 and 20 in the west end of Toronto. Learn more about the other artists, local businesses and community members participating in this event at the link below. Lease Agreement is a collaborative, artist-run, curatorial project by Adam Farcus and Allison Yasukawa. Set in the front rooms of the couple's rental house, Lease Agreement continues in the tradition of apartment gallery exhibition spaces by exhibiting conceptually rigorous, engaging work within the context of a home. Paintings, sculptures, installations, screen-prints, and photographs created by five artists will be on display March 7-30 in the Whitaker Gallery on the second floor of the Whitaker Campus Center at Hood College. A closing reception for “Warmer” will be March 27 from 5 to 7 p.m. in the gallery, which is open daily from 10 a.m. to 7 p.m.
Curated by Hood College Gallery Director Adam Farcus, the works in this exhibit illustrate the conflict and often confusing data regarding global climate change and the emotional perception of how this phenomenon is changing the planet. The exhibit includes hurricane-inspired paintings and sculptures by Jessica Childress, debris-like installations by Heather Mekkelson, Allison Rowe’s screen-prints of data from climate change graphs, photographs of the Chesapeake Bay by Richard Weiblinger and Eileen Wold’s green energy-influenced kinetic sculptures. Allison Rowe's postcards available at Open Space, Baltimore's Fifth Annual Publications and Multiples Fair on March 8 and 9, 2014. Are you in Baltimore this weekend? If so make sure to stop by the Lease Agreement booth Baltimore's Fifth Annual Publications and Multiples Fair where Allison's postcards from Fort McMurray will be on display. Galerie Protege's fortcoming exhibition Constructed, Collaged, Combined & Congruent explores contemporary sculpture through the work of artists. Allison is pleased to have work from her continuing project, Aid for USA and Canada. Please join Allison on Sunday January 5 at the Power Plant Gallery where she will speak about Micah Lexier's exhibition "One, and Two, and More Than Two"
As a participating artist in Lexier's expansive cuatorial project More Than Two, Rowe will speak about her thoughts on the project and the exhibition. Though just two days into her current stay in PAP, Allison is excited to be back at work on Aid for USA and Canada a project which she began two years ago as a response to the media reportage on Haitian aid. Allison is also working on a new piece about earthquake rubble removal. Images to be posted in the upcoming weeks. Allison's performance Aid for USA and Canada will take place from December 8 - 16, 2013 in Port-au-Prince, Haiti. This project would not be possible without the funding assistance of an Ontario Arts Council Exhibition Assistance Grant that will help cover the costs associated with travelling to and creating a site-specific performance. The Tar Sands Exploration Station is headed to Brooklyn this fall to participate in the DUMBO Arts Festival. Take a look at the link below and start making your plans now for navigating the neighbourhood. In early December 2013 Allison Rowe will return to Haiti to continue working on her performance and archive project, Aid for USA and Canada. If you are a resident of Port-au-Prince and are interested in making and aid donation to Canada and the US please get in touch. During the month of October Allison Rowe will be at the Vermont Studio Center working on a series of new sculptural responses to oil, mining and voids. In progress work will be posted soon. Allison Rowe is delighted to be included in Micah Lexier's curatorial project More Than Two (Let It Make Itself) on view at the Power Plant Contemporary Art Gallery in Toronto, Canada from September 21 to January 5, 2014. Please join Micah, Allison and the other artists included in this exhibition by celebrating the opening of the show this Friday September 20 from 8:00 - 10:00 PM. It is a busy September for Allison and the volunteers of the TSES. On September 21 the van will be roaming the streets of Ottawa, Canada's national capital, as part of the 2013 Nuit Blanche exhibition Supernova. Rowe's work has been curated into the exhibition by Michael Davidge. After a wonderful experience at ACRE last year, Allison Rowe is set to return to their idyllic summer home based in Wisconsin and expand upon the screen print series she began there last year. Stay tuned for image updates and work in progress! The TSES team is thrilled to be participating in the River and Sky Festival, a great celebration of Canadian music and culture in the beautiful Northern Ontario landscape. Get your tickets now and keep your eyes out for the van! Check out the article on Allison's work on the Make Space blog. Allison is delighted to announce she has been invited to participate in The Arctic Circle program in October 2014. During her trip, Rowe will investigate oil and gas explorations of the Arctic through video and performance. Aid for USA and Canada is a collaborative performance, sculpture and archive investigating the monetary and political relationships between Canada, the United States and Haiti. This exhibition is the inaugural Canadian display of the aid collected in 2011. The public display of these items will be supported by a number of events that foster dialogue about Canada, Haiti and the future of International Aid. Open Engagement is an international conference that sets out to explore various perspectives on art and social practice and expand the dialogue around socially engaged art making. The annual conference is hosed by the Social Practice MFA at Portland State University. Allison Rowe is excited to announce that she will be participating in a 1W3KND Writing Residency hosted by Broken City Lab this February. The amazing ACRE summer residency program that Rowe participated in during August 2012 also supports all their artists by pairing them with a curator for an exhibition opportunity the following year. Allison Rowe is delighted to be participating in a show curated by Pat Elfritz at Heaven Gallery in Chicago. Hope to see you there! 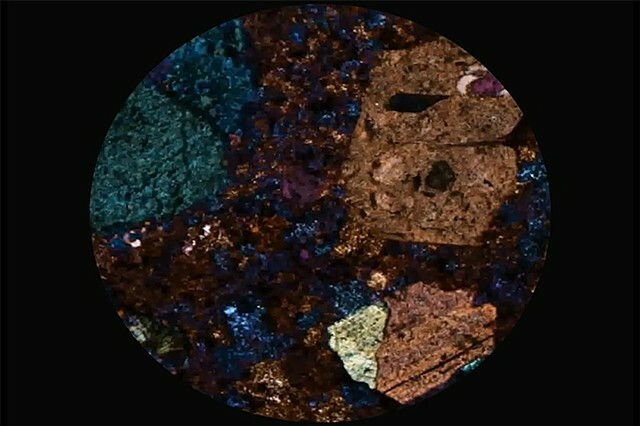 Allison Rowe is pleased to announce her participation in the Petrocultures Exhibition and Conference taking place in Edmonton Alberta from September 5-9, 2012. Rowe is exhibited to be participating in two events associated with the upcoming Petrocultures Conference hosted by the University of Alberta. Rowe's work will be view in the exhibition Oil and Water on view at Gallery 501 in Sherwood Park. She will also be presenting a performative paper, Tar Sand and a Camper Van- An Artistic Investigation into Canadian Visual Culture and Self-Consumption. Allison Rowe just returned from 2 weeks of art making awesomeness at ACRE (Artists’ Cooperative Residency and Exhibitions). Stay tuned for a new print series that Rowe created during the residency! Art Now at the Toronto Outdoor Art Show July 6 - 8, Art Spin Performance August 30 and Pop-Ups Pending. The Tar Sands Exploration Station (TSES) is on the move across Ontario this summer. Allison is delighted to announce that the TSES has been selected as the 2012 Art Now Project for the Toronto Outdoor Art Exhibition taking place from July 6 - 8. During the show two new performance pieces will be unveiled. On August 30 the TSES will be participating in an amazing event being hosted by Art Spin in Toronto. Hop on your bike and join us! And finally this summer season the TSES will be proudly offering a series of pop-up performances at cultural icons in Ontario. Suggestions about where we should go? Email now! Allison Rowe will be joining the amazing ACRE community this summer for an artist residency in early August. During her time in Wisconsin, Rowe will be working on a print series that responds to abstraction, infographics and the environment. Check out ACRE's website for more info about their programming. The Tar Sands Exploration Station is thrilled to be opening its doors this week at the 11th Annual INTERSECTIONS / CROSS SECTIONS Conference hosted by the Joint Graduate Program in Communication & Culture at York and Ryerson Universities. Friday April 27 we will be crashing the Keynotes from 5:30 - 9:00 outside the Ryerson University Student Centre, 55 Gould Street. Check out the link to get a full breakdown of the amazing activities taking place at the conference. Allison Rowe is pleased to announce the generous support of her project Aid for USA and Canada by the Canadian and Ontario Arts Councils. 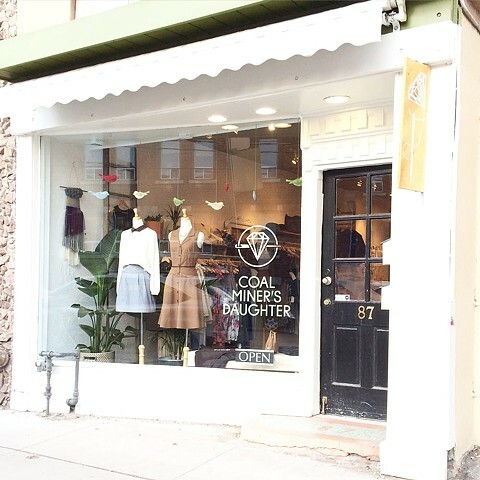 Allison received a Travel Assistance Grant from the Canada Council for the Arts and an Exhibition Assistance Grant from the Ontario Arts Council. Without the generous support of these organizations, Allison would not have been able to attend the 2011 Ghetto Biennale. Allison Rowe is pleased to announce her participation in the 2011 Ghetto Biennale taking place in Haiti from November 28 - December 19, 2011. Rowe will collaboratively create a piece entitled Aid for USA and Canada with local residents of the Grande Rue, a downtown ghetto in Port-au-Prince. These residents will be asked to make donations of objects and audio recordings which will be generously donated to the US and Canada. Opening on Oct 5th and running till Oct 27th at the Steam Whistle Gallery. After All is a colloquium of micro-disasters and subtle apocalypses, little mistakes and lonely wanderers, absences and distortions, created by eight young visual artists. Both melancholy and acerbic, the works speak to the aftermath of arbitrary and fictitious disasters. Darkness has already descended, and the sensation is one of being unsettled for good, and yet, escape routes and alarm-bells appear to be built-in to each misfortune. Allison Rowe's interactive Open Pit Mining Model now on view. Opening: Saturday July 9th, 2011, 7-10 p.m. Closing: Sunday, July 24th, 2-5 p.m.
Gallery Hours: Sun. July 10th, Sat. 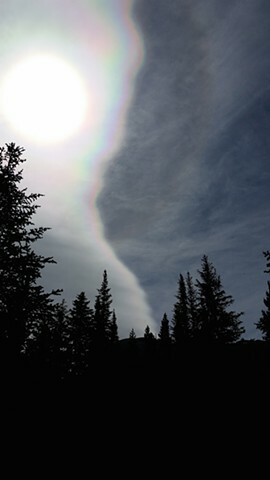 July 16th, Sun. July 17th, Sat. July 23rd, 2-5 p.m.
Tar Sands Exploration Station Word of Mouth Tour Begins! Allison Rowe is delighted to announce that beginning May 22, 2011 The Tar Sands Exploration Station will commence its inaugural tour across the United States. Please visit the Tar Sands Exploration station link featured on the menu of Rowe's website to get further details and updates. After two years of hard work, reading and art making Allison has completed her MFA in Social Practice at California College of the Arts. Join her and her classmates at the 2011 MFA Thesis Exhibition. Allison's interactive sculpture, The Tar Sands Exploration Station is on display in the main entrance to the show. Allison has two of works included in the Eco Art Exhibition at Gallery 1313 in Toronto. 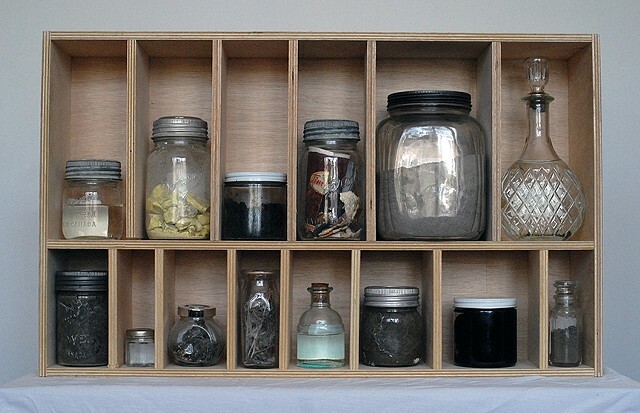 The show features a range of artists responding to environmental concerns and issues. The show is up until March 27, 2011. Allison Rowe is an invited presenter at the Contemporary Connections Symposium Saturday January 29, 2011 at Cranbrook Academy of Art located just 30 minutes outside of Detroit. Rowe's lecture, "Why You Should Care About Canada" will be followed by a short panel discussion with other presenters discussing the relationship of place and identity. Allison Rowe is on a self-imposed residency in the booming oil community of Fort McMurray Alberta from August 8 - 27th, 2010. If you are in the area and wish to participate in any of her site specific interventions, sample gathering exercises or even just get coffee please get in touch with her via the contact portion of the website. The interactive artwork 'To 2050' bill be presented at the Subtle Technologies Festival. June 4 - 6 all day long at Innis Hall located in the heart of the University of Toronto campus on St George St.
Allison Rowe and Brian Conley will be giving a presentation entitled 'The Whole Ball Works' at Mildred's Lane, an artist residency located in the Upper Delaware River Valley Region. Come visit Allison and many other artist/scientists at the 2010 Too Cool for School: Art & Science Fair. On April 4, 2010, Allison and her fellow graduate students at California College of the Arts will open up their doors to welcome the public into their studios. Please stop by and see Allison's latest sculpture, "Williams Family Global Warming Shelter" in the Hooper 1 complex. Maps of studio locations will be available at each building entrance. In less than two weeks the full Mapping the Coast website will go live. This site makes use of the images and experiences Allison had while in Haiti to speak about factors that have and will affect this nation.